A dyelot is a set of skeins that are dyed simultaneously in a single pot or bath. Dyelots allow you to select yarn that is all the same color and can be used side by side in larger projects. Many commercial yarn companies include a dyelot code on the packaging of their yarn, making it easy to determine if the color will be precisely the same. But what do smaller, indie yarn companies do? They may not have the space to dye large numbers of skeins together, but they do often have small batch dyelots. Many indie dyers dye yarn in quantities of 3-5 skeins, making small batch dyelots. What is unique to kettle dying or hand painted yarn is that while there are 3-5 skeins dyed together, there may be small variations between skeins. Such variations are apparent in where speckles fall or how the color sets. This is not a result of the dyer not knowing what they are doing, instead it is a product of the method used to dye the fiber. We love kettle dyed and hand painted yarn and it is clear that many others do too as commercial companies have begun releasing yarn using these methods. Smaller dyelots and the unique qualities of indiemade yarn means that planning a project takes a little more forethought than using commercially dyed yarn, but the results are well worth the effort! There is nothing quite as amazing as coming across a skein of yarn that is unique, vibrant, and not likely to be repeated. One of a kind (OOAK) skeins happen for a number of reasons. One reason is the dye process results in a happy accident. Yarn dying is a wonderful, messy process and experimenting dyers will test out colorway ideas several times. All the experiment skeins are later sold as one of a kind, never to be repeated. 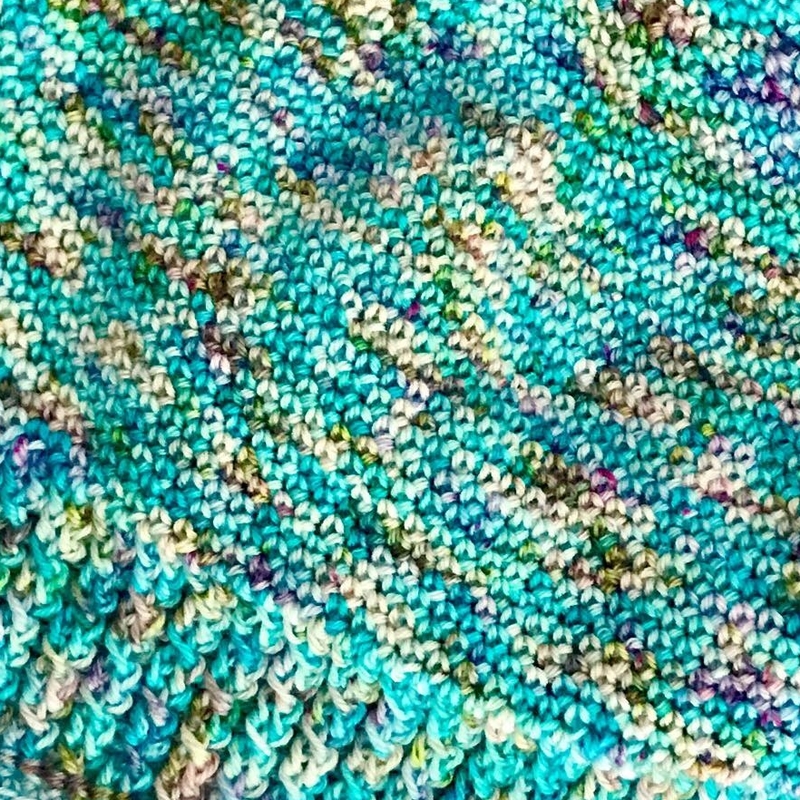 OOAK skeins are diamonds in the rough, and it can be tricky to use them, but we have some ideas on how to incorporate these gems into your next project! Whether you are using small batch or OOAK skeins, be aware of how much yarn you need for your project. Make sure to purchase all the necessary yarn together; purchasing a skein at a time will surely guarantee that you will have multiple dyelots in a single project. If the pattern calls for several skeins of yarn of the same color, consider alternating rows or rounds between multiple skeins to blend the dyelots together. This will create the illusion that the yarn is all from the same dyelot and looks polished. OOAK is best suited for small projects or colorwork projects. If you are making something that only requires one skein of yarn (e.g. a hat) then you are all set - make that super awesome pattern using your coveted OOAK yarn. If you are eyeing a pattern full of multiple colors then your OOAK yarn would also be the perfect addition: think stripes, fair isle, shawls, etc. Incorporating your OOAK skein will make your creation all that more unique!